Home Soccer Hennessey, acquitted because "he does not know what a Nazi greeting is"
Hennessey, acquitted because "he does not know what a Nazi greeting is"
Wayne Hennessey, goalkeeper of the Crystal Palace, avoided a sanction of the English Federation because he declared not knowing what a Nazi greeting was, although he did it in a team dinner. 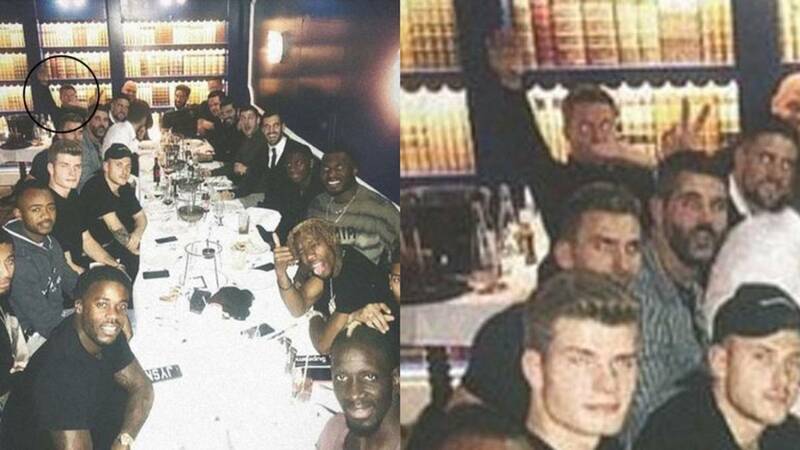 The English Federation (FA) has acquitted Wayne Hennessey, keeper of the Crystal Palace, and has not imposed any sanction for making a fascist salute at a team dinner. According to the player, did not know what a fascist salute was and just wanted to get the photographer's attention. The image, which his partner Max Meyer went up on social networks, is very clear. Su Fascist salute with the right arm and the simulation of a mustache with his left hand leaves few doubts. Therefore, the Federation itself has charged hard against the player: "It seems unlikely, but we can not judge that statement as false." It is very unfortunate that someone is unaware of such an important part of the story and would do well to become familiar with it. to live in a free country ". Although his argument is that he did not know what it meant, in the explanation he gave when it happened, he does not mention it and merely comments that " would never do something like that, it's a coincidence " .